Answering your questions about past successes or challenges. 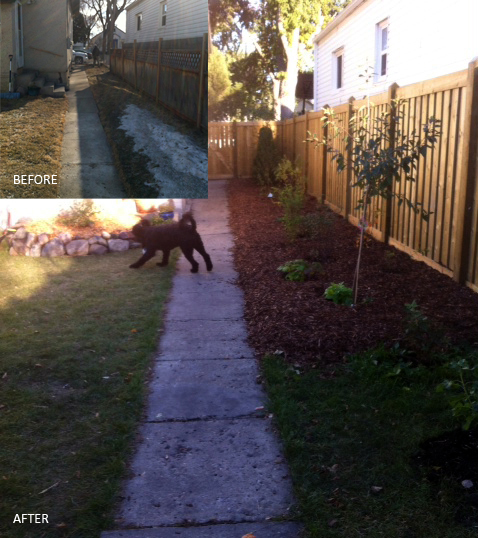 A yard consultation is for both experienced and new gardeners! With a site visit and ongoing support I can help you achieve your gardening goals. To book your yard consultation, please follow the link to my contact page. “I just thought I would drop you a quick note to let you know how our Complimentary Yard Consultation went with Claudia Bolli from Wild Green Garden Consulting. We were fortunate to ‘win’ this after the original winners were unable to use it. We are quite thankful they changed their minds. Claudia arrived on Wednesday, May 21 just before 1 PM and stayed for a little over 2 hours. We started off visiting in our sun room where we could point out various yard features, our concerns and wishes. We have lived in the same house for about 35 years, so if anything was ‘incorrect’ in the yard, we couldn’t blame it on the previous owners. Claudia spent more than an hour, discussing everything we mentioned. We were interested in growing more fruit trees – we had Cherry and Apple, but wanted Plum. Claudia had lots of reference material with her that she referenced to explain our options for the tree, what type, where it should be placed for best results, pollination, etc. We then mentioned that we had some parts of our yard that were we wanted some better perennials, for example, the driveway has lots of direct sun with no shade, and the sides of the house are sheltered by trees. Claudia again used her reference material, showing us pictures of plants that would most likely work the way we wanted. She had a couple of handouts that she marked up with what we could try and find, and why they were good choices for the location they were in. We then went outside for a walk-around of the yard, with Claudia giving me excellent ideas about composting, mulch, weed control, disease control, and water conservation. She never rushed us, and really took her time to make sure we had all our questions answered and understood the reasoning behind them. Since her visit we have visited some green houses and purchased a number of the plants she recommended. It was a fantastic way to spend two hours, and we are very thankful to Spruce Grove for putting on the original workshop, and for Claudia for making the knowledge transfer so easy. She followed up our visit with an e-mail highlighting everything we had touched on – within two hours of her leaving our home.